The Wall and roof adopt new energy saving and environmental material, making a Completely closed weatherproof system, avoiding “Cold bridge” effect, small temperature changing, low heat conduction and prominent energy saving effect which can meet the updated China standard of over 65% energy-saving. When outside temperature is 0℃, indoor temperature could keep 17℃ at least, and when outdoor temperature reaches 30℃,indoor is still 21℃. Compared with brick house, it can save money due to AC and energy charge, also can save power 30% at least from the AC energy expend in winter and summer, and the total embodied energy expends will save 30%. Environment Friendly During construction, the mainly dry construction is used at working site, saving water. 100% steel frame material is recyclable, above 80% other material is recyclable, reduce the environment damage from material; Also CO2 emissions reduced 67% than brick house; Meeting energy-saving requirements of china government. 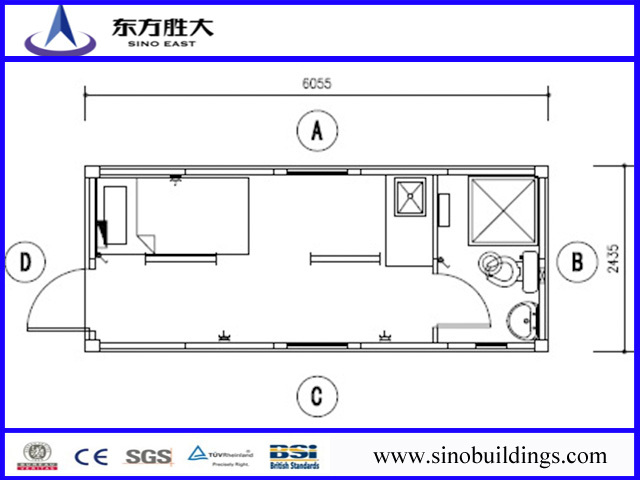 The wall thickness of LGS steel structure building is only half of brick wall, so the usable floor area can reach 92%. Compared to the traditional brick, the floor area increases 10%. It s also with flexible partition and high utilization. GREAT LIFE----Safe/ Durable/Comfortable1、 Anti-seismicLGS steel construction uses triangle truss structure of cold-formed steel, its main wall use cold-formed steel as frame, bolting makes the house body tightly connected to the ground, with good ductility and anti-seismic performance. LGS steel construction’s seismic fortification is up to 9 degree, and steel structure house cause less damage in the earthquakes than other houses. Cold-formed light weight steel structure buildings adopt Q550 high strength steel with good steel integrity and flexibility, which can resist 50m/s wind speed. Life and property will be well protected. Light steel structure house is all composed with cold-formed light steel structure parts which adopt galvanized/aluminum -zinc and anti-corrosion cold rolling steel plate. This can effectively avoid being rusted during the constructing and using of steel structure parts and increase the lifespan to more than 90 years. The effect of sound insulation is an important indicator for the assessment of residential. 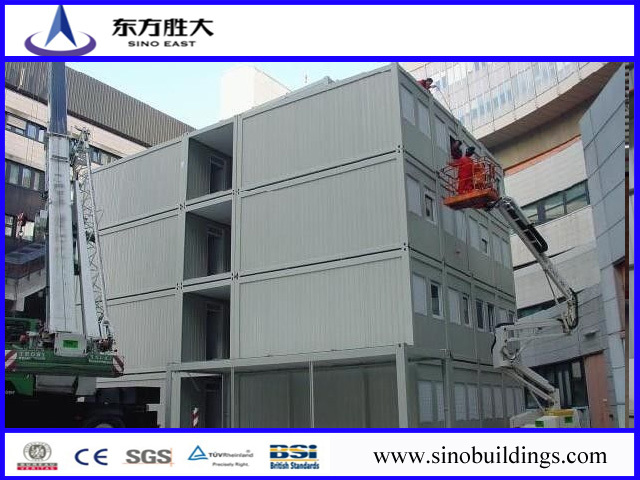 Light steel system walls formed by light steel structure, insulation materials and fiber board have perfect sound insulation and shock absorption technology and meet the national standards for building sound insulation. LGS steel wall system, respiratory function, it can adjust indoor air humidity. The roof with ventilation function, which can make the house internally over the formation of the flow of air, ensure that the roof ventilation and cooling of the internal demand. The light steel integrated housing span can up to 6 to 12 m to provide larger living space for residents, and can also be freely divided. 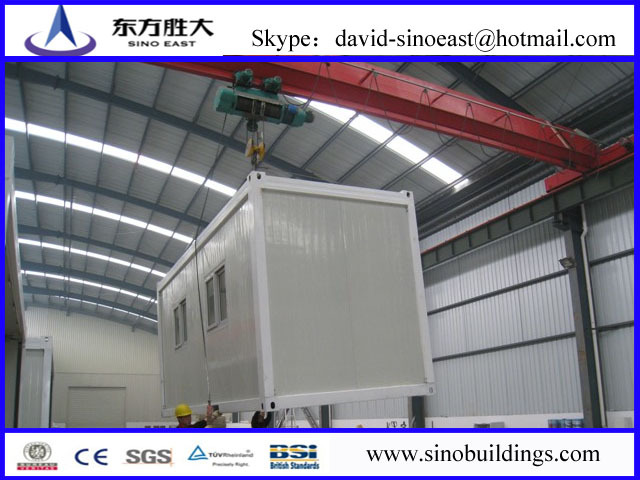 The integrated light steel building materials are green environmental friendly, and keep healthy. All materials can be completely produced in factory and installed at the construction site. It can not only reduce the intensity of on-site construction, but also improve the efficiency of construction and engineering quality. The residential environment can be built before the house and then house can be completely designed and manufactured in accordance with the demand of the buyers residential. The interior decoration can be finished one time through the overall design. Construction is high speed, short time, high efficiency, less impact from the seasonal all-weather construction. It takes 8 workers to finish 300 square meters villa. The construction time is only 2 months.